The first Volvo C70 Convertible was launched in 1997 and was a true convertible: a two-door, luxury sports car that combined high performance and a high level of equipment with the highest safety standards. 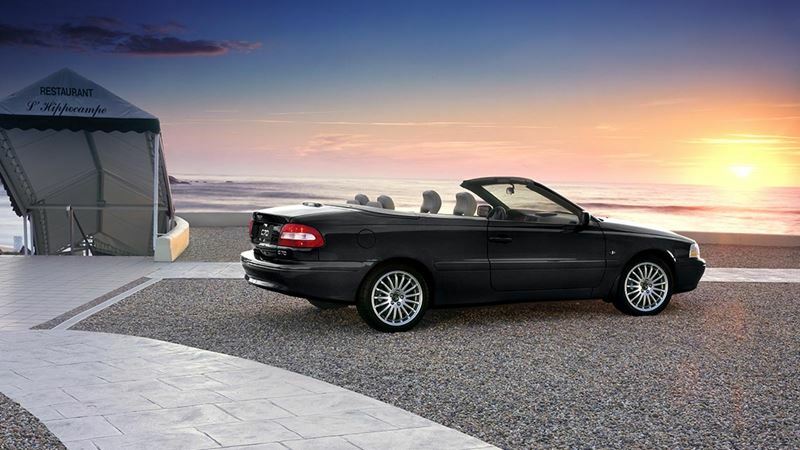 The Volvo C70 Convertible was designed for four adults, with two pronounced, deeply contoured seats in the rear. The engine alternatives were five-cylinder petrol engines with output ranging from 163 to 240 bhp. This model was also produced as a coupé up until August 2002. The Volvo C70 Convertible was manufactured at the Volvo plant in Uddevalla, Sweden. The second generation of the C70 Convertible, simply called C70, was launched at the Frankfurt motor show in September 2005. The aim was to create two cars in one - without compromising on either. A three-piece retractable hardtop transforms the Volvo C70 from coupe to convertible at the touch of a button. The second-generation Volvo C70 was developed in close cooperation with Pininfarina of Italy. Volvo Cars was responsible for the design, while the development and manufacturing of the new open model took place in collaboration with Pininfarina. Volvo employees from design, construction and purchasing were on site throughout the entire development phase in Turin. Like its predecessor, the Volvo C70 was built at the plant in Uddevalla. In terms of design, the Volvo C70 was short and low but relatively wide. Its proportions and design were chosen to give the car a powerful profile. In order to ensure harmonious lines both with and without the roof, Volvo's designers decided to first draw the Volvo C70 as a coupe. Only after they were satisfied with the result did they make the necessary adjustments to create a convertible out of the finished design.